Learn this easy piecing technique using Erin Underwood's 15-Degree Triangle Ruler by Creative Grids. It does all the work for you. If you can sew a straight seam, you can make this easy version of a curved block. Then you are only limited by your imagination! 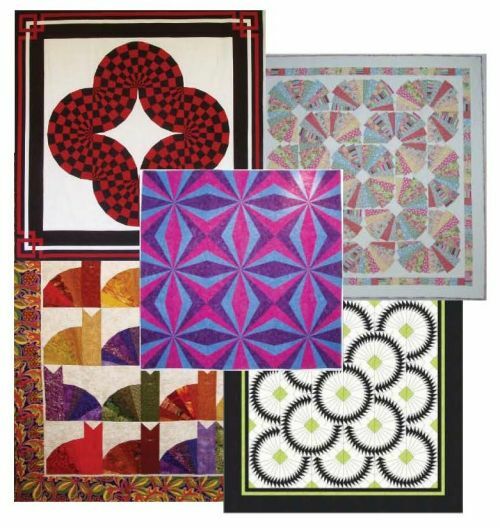 Several options of patterns and pattern combinations (more than one pattern for the workshop) are available- just take a look at the Fantastic Fans patterns in my on-line store.